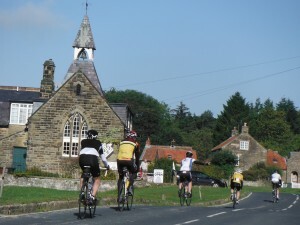 The ultimate UK cycling adventure from the rocky cliffs and pounding seas of Land’s End, through the rolling hills of Dartmoor, passing the stunning mountains of the Lake District and along the Lochs of Great Glen to the finish line at the famous northern signpost on the UK mainland at John O’Groats. Land’s End to John O’Groats is a must for all British cycling enthusiasts. In all you will cycle roughly 1000 miles, passing through some of the most stunning and remote countryside in the British Isles. This is a tough challenge however you will be fully supported by the experienced Adventurous Ewe crew. This is the ultimate way to see the country, and one of the most rewarding cycling trips you will ever do! You will need to pay a non-refundable registration fee of £345 at the time of booking. The full balance of £1,450 is required to be paid no less than 4 weeks prior to departure. Dates for the Lands End to John O’Groats are available from May to September, please contact us for bespoke group bookings. 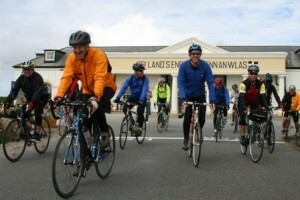 Contact us for more information on our Land’s End to John O Groats Cycling Challenge at info@adventurousewe.co.uk. 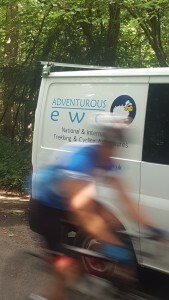 We’d be thrilled to plan and support your ultimate UK cycling adventure which meets with your needs. Continuing north we cross into Somerset, passing through lovely countryside and small villages enjoying the typically English rural scenery. As we near the Severn Estuary we approach the outskirts of Bristol, and take the Avon Gorge cycle path for a short stretch through Avonmouth and up to the Severn Bridge. We cross the bridge, and celebrate our arrival in Wales! Approximately 84 miles. e north towards the town of Hereford, here we see the Wye for the last time, before crossing into Shropshire, arriving in Shrewsbury. Approximately 100 miles. Our morning starts with a gentle cycle through th e medieval town of Shrewsbury, crossing the River Severn before heading north through the small market town of Bishops Castle. Our route is mainly flat and the miles pass quickly, as we make our way into Lancashire and on to our hotel just below Preston. Approximately 92 miles. Today is a long day, heading north on quiet roads once more into Cumbria, the hills of the Lake District rise to our left as we head towards Shap Fell, at over 100oft he climb is long but the gradient is fairly gradual. A fabulous descent now awaits almost all the way to Penrith, where we cycle past the castle and on to Carlisle. Approximately 90 miles. This morning’s ride is very picturesque with the lush green rolling hills to either side as we cycle through small towns and villages. We pass through the small town of Sanquar, home to Britain’s oldest post-office, and a great old Tolbooth, nearing Kilmarnock our hotel lies just out of town. Approximately 101 miles. Leaving Kilmarnock we will be greeted with some amazing scenery as we head to the Firth of Clyde via Irvine, following the coast road we enjoy fabulous views across the water to the Isles of Arran and Bute. The road continues to climb and descend as we cycle along the shores of Loch Eck, overnight in Inverary. Approximately 80 miles. 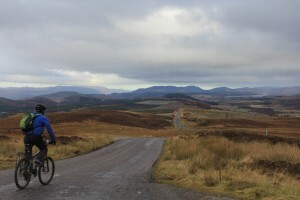 Today we cycle through the Scottish Highlands! with great views of Loch Etive and the Isle of Mull. As we follow the coast road with views of stunning desolate beaches, and hilly islands and peninsulas. Inland the higher peaks are visible with views of Ben Nevis and the surrounding high peaks. We cycle alongside Loch Lochy to our hostel at Spean Bridge. Approximately 82 miles. Another day of beautiful Highland scenery awaits us as we head further north. We follow the Caledonian Canal to Fort Augustus, and the shores of Loch Ness, leaving Loch Ness heading north again to Beauly onto Dingwall. Just out of Dingwall brings another ascent onto what the locals call the ‘Struie’. As we reach the top of the ‘Struie’ we will be amply rewarded with impressive views of the Dornoch Firth, before our arrival at Invershin. Approximately 86 miles. Now in northern Scotland the landscape is a true wilderness, with rich peaty moorlands and clear rivers, red deer and birds of prey such as osprey or even the elusive golden eagle. This is the most sparsely populated region in Northern Europe, and after enjoying some of the finest cycling of the whole trip we arrive at the Atlantic Ocean for a well-deserved lunch. Before a stunning an undulating ride to our overnight stay in Thurso. Approximately 85 miles. Leaving Thurso, our route passes through the high sand-dunes of Dunnet Bay the most northerly point in the UK, before pedaling the final remaining miles to John O’Groats and our finish line! We then have time to collect our thoughts as we are transferred down to Inverness in plenty of time for a Large Celebration!! Approximately 26 miles.